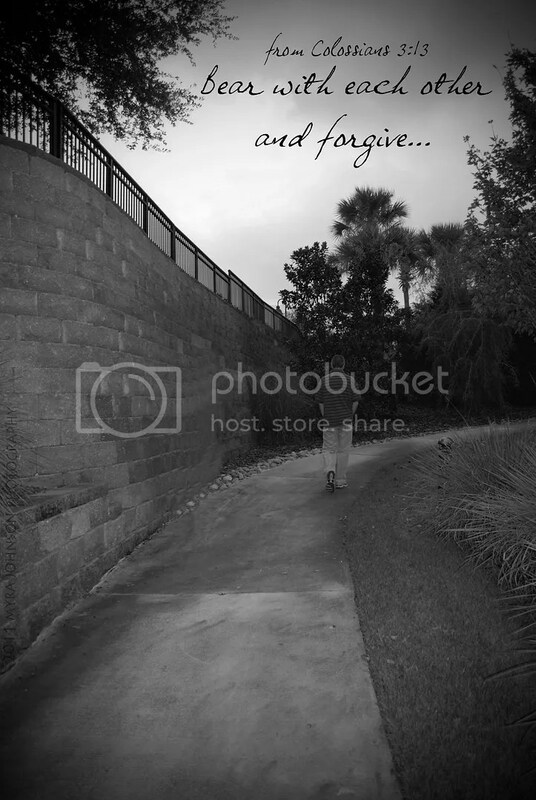 Think about it…..is there anyone in your life who you would not forgive? Even if they came to you with a sincere heart and wanted to start the relationship over, asking for forgiveness, you wouldn’t? Is there anyone in your life that is refusing to forgive you, even though you have sincerely asked them to? Is there anyone who is refusing to allow a mending of relationship? If you could answer, "yes" to any of these questions, there is something better–far better–to be had. The healing that God can bring to a wounded heart is priceless. A relationship restored brings wholeness where there was once emptiness and discord. If there is someone who seeks forgiveness from you, ask God to help you in accepting them. If there is someone who refuses to forgive you, ask God to help them to accept your repentance. Ask Him to bring a wellness to both of your hearts. After all, He forgave you. I’m very loved with this side. Its a pleasant subject. It assist me to greatly to resolve some problems. Its chance are extremely fantastic and dealing style so fast. It might be help everyone. Thanks..
I’m very glad which i find your family publish here,I truly be thankful that you simply distributed to us this type of informative publish.. After I began to see article I believed about how you present such great subject. Incidentally would you please publish more article on such subject ? I truly be thankful. Thanks & keep continue upgrading us.